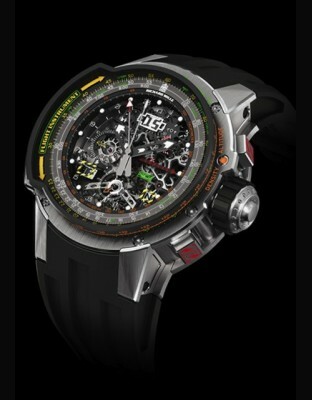 Price request for RM 039 Aviation E6-B Tourbillon Chronographe FlybackRef. When the Tourbillon RM 039 Aviation E6-B Flyback Chronograph was presented in 2012, it was met with great enthusiasm by professionals in the watchmaking sector. 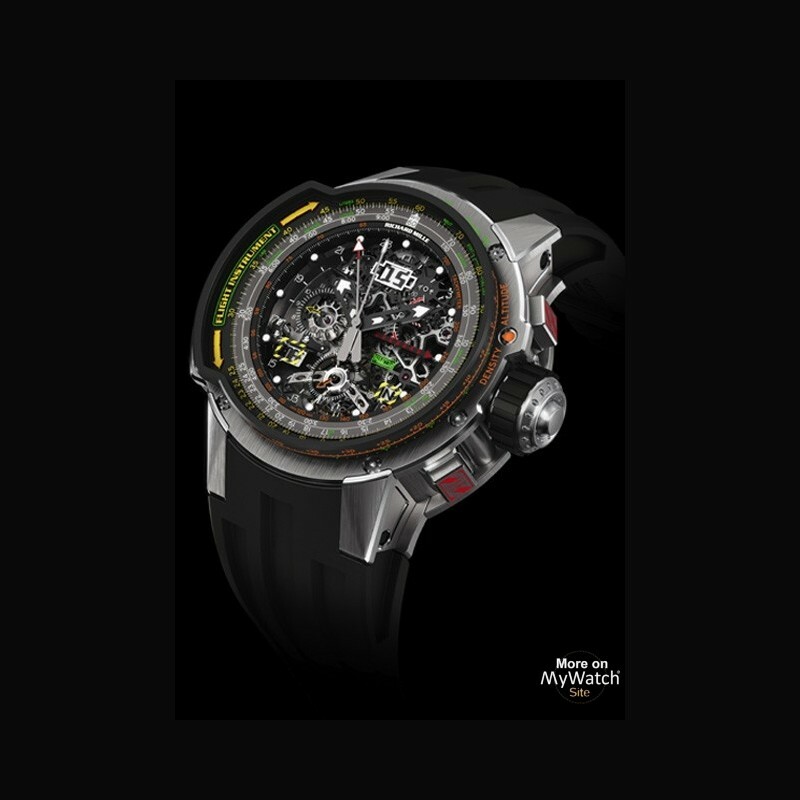 Richard Mille designed this piece as a real navigation aid for experienced pilots, using the traditional materials and visual codes of the aviation industry. The caliber RM039 is a manual winding movement with hours, minutes and seconds at 6 o’clock, an oversized date display, a flyback chronograph with seconds counter, central minutes and hours at 9 o’clock, UTC and countdown modes, a function selector and a power-reserve display. These functions involved the creation of 750 original components, assembled in a movement that contains 58 jewels, measures 38.95 mm in diameter and has a thickness of 7.95 mm. 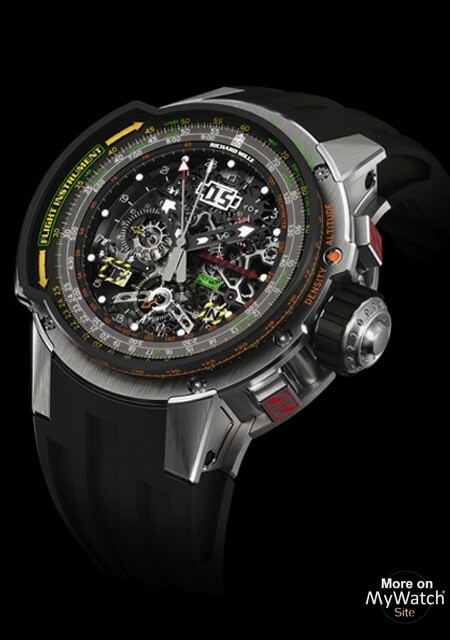 No less than 6 push-pieces are needed to make full use of all the functions available on this aviation watch. With nearly 750 components in the movement and over 200 parts making up the case, the RM 039 Aviation E6-B Flyback Chronograph is a member of the extremely elite group of the most complicated watches on the market. 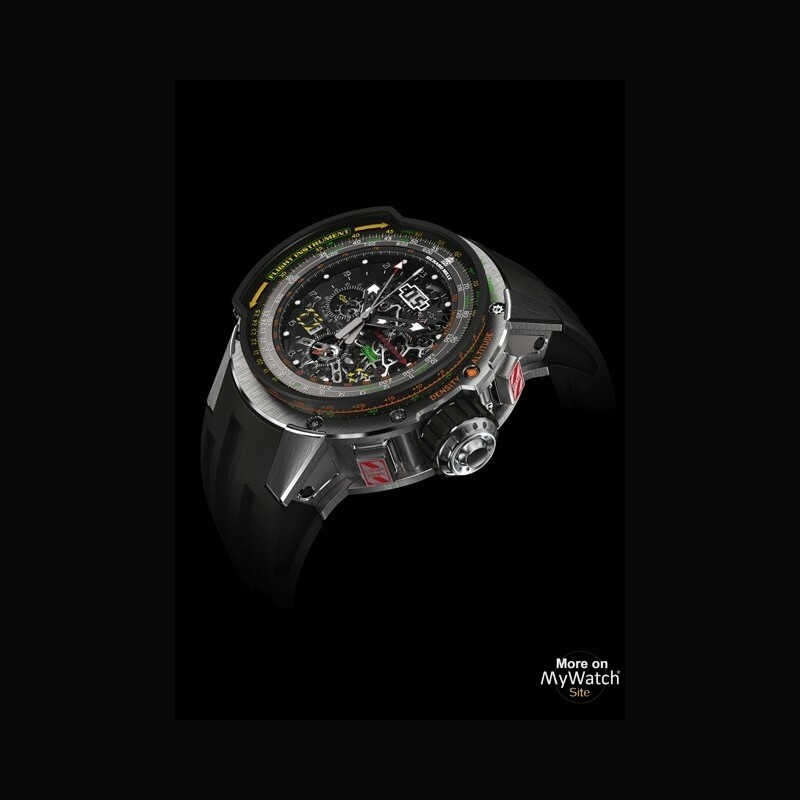 In view of the extreme technical complexity of the RM 039, Richard Mille requested a particularly in-depth examination of its day-to-day use and evolution over time. 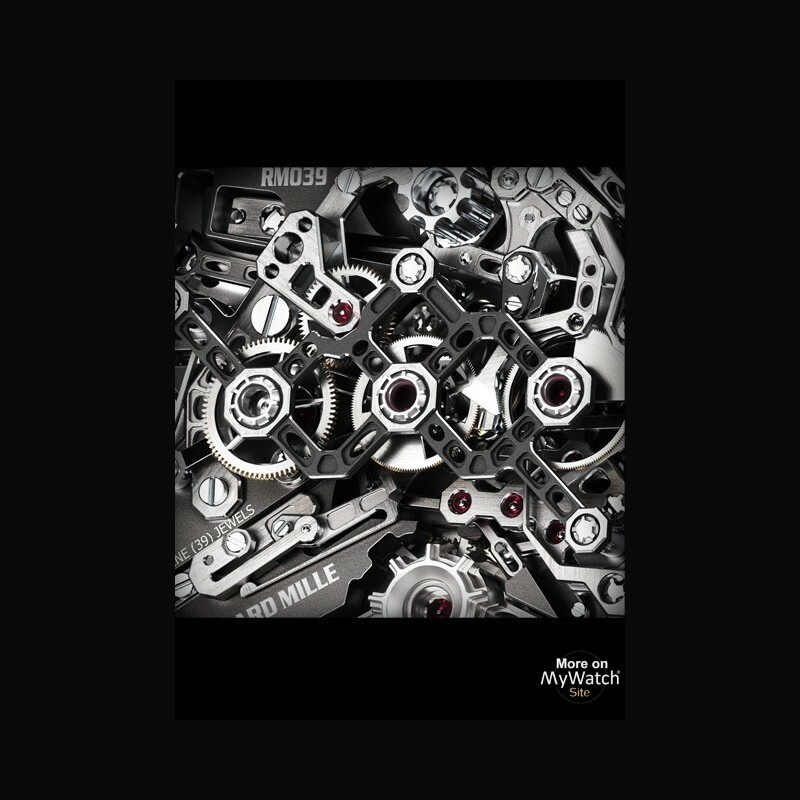 The Richard Mille movement engineers together with the watchmakers at APRP carried out several months of new research with a view to developing the caliber RM039 even further. 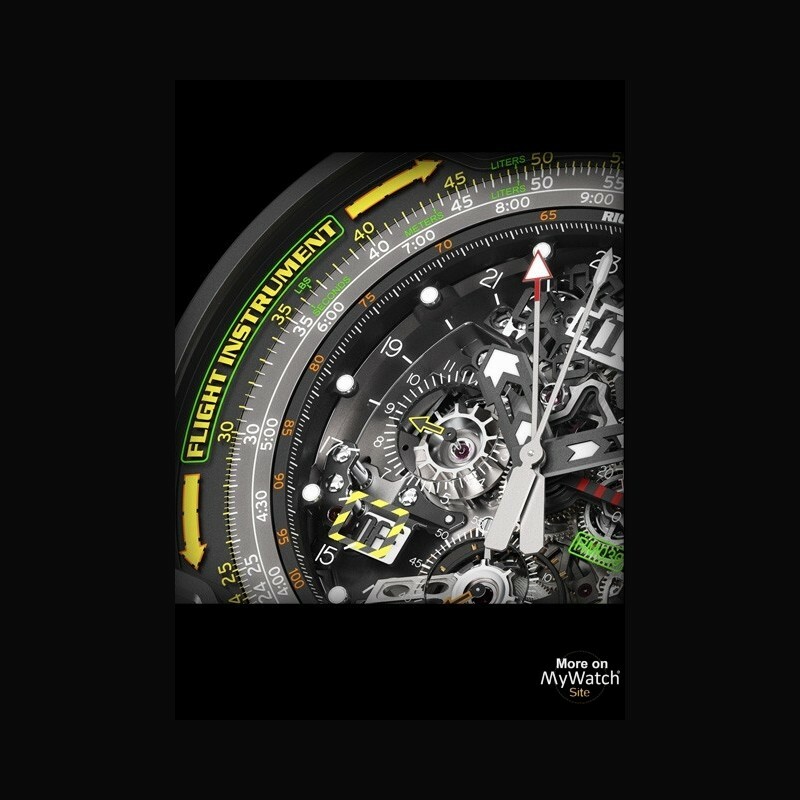 The aim was to ensure the excellent ageing of the movement and the perfect operation of the display and functions, without disregarding any of the complications or the essential concept behind the watch. As high performance is linked to a perfect adjustment of the components by the watchmakers, the latter were supplied with optimised assembly kits requiring very little regulation. Thus, although assembly of the movement requires as much skill as ever, final adjustment is no longer such a major undertaking. The new components, designed in collaboration with the watchmakers, make assembly quicker and safer. This optimisation process has also improved the chronograph adjustment sequences for starting, stopping and resetting to zero, as this module is subject to severe constraints due to its dual function. A flyback chronograph module – with a central minutes and seconds display – not only makes the flyback function possible, but also means that the minutes hand can be used for countdown. This also means, however, that even the slightest malfunction of the mechanism must be eliminated to avoid stopping the entire movement. Nevertheless, this quest to perfect the function sequences of the flyback chronograph has created an allowance for greater margins of error in manipulation, particularly when the user presses several push-pieces at once or if he presses the countdown button while the flyback is in operation. How was this achieved' By increasing the safety devices protecting each moving component. All this new research now guarantees the optimal, timely functioning of the extremely complex flyback/countdown assembly. The RM 039 Aviation E6-B pilot’s watch displays practically all the information provided by the famous E6-B slide rule. 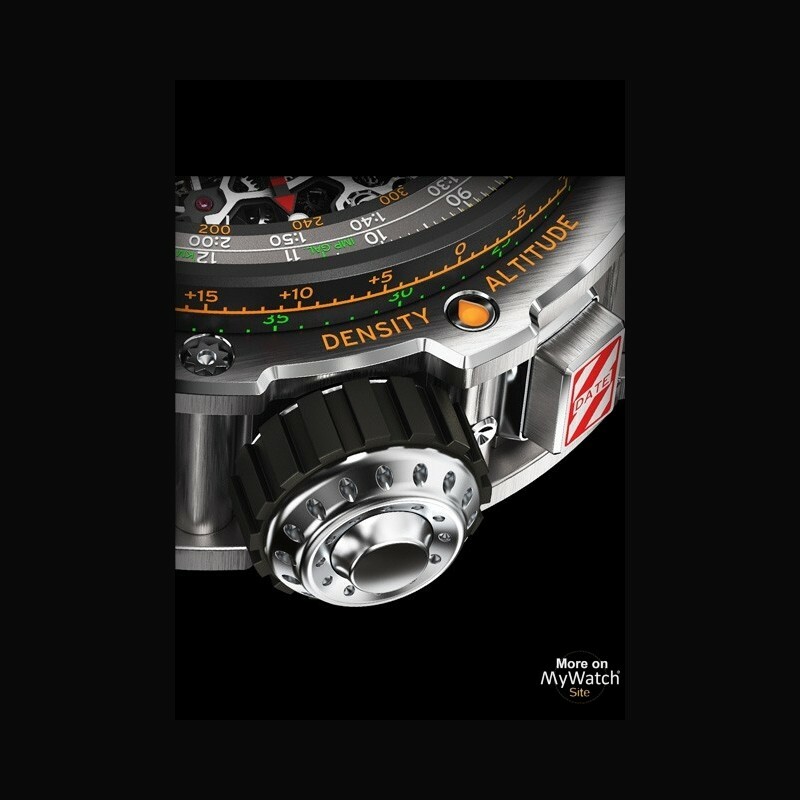 Incorporated into the bidirectional rotating bezel, it can be used to read off and calculate fuel burn, flight times, ground speed and wind correction, and to quickly convert units of measurement (Naut/KM/ Gallons/ Litres/Feet/KG/LBS). Another special characteristic of the RM 039 that distinguishes it from other pilot’s watches is that it enables density altitude to be calculated using a movable indicator incorporated into the case middle at 2 o’clock: an original function brought to watchmaking for the very first time. The Tourbillon RM 039 Aviation E6-B is an extremely complex and technical watch that embodies the perfect synthesis between watchmaking and aeronautics. It is the perfect instrument for facing the challenges that confront pilots during flights. The RM 039 Aviation E6-B is available in a limited edition of 30 timepieces in titanium with titanium horns.